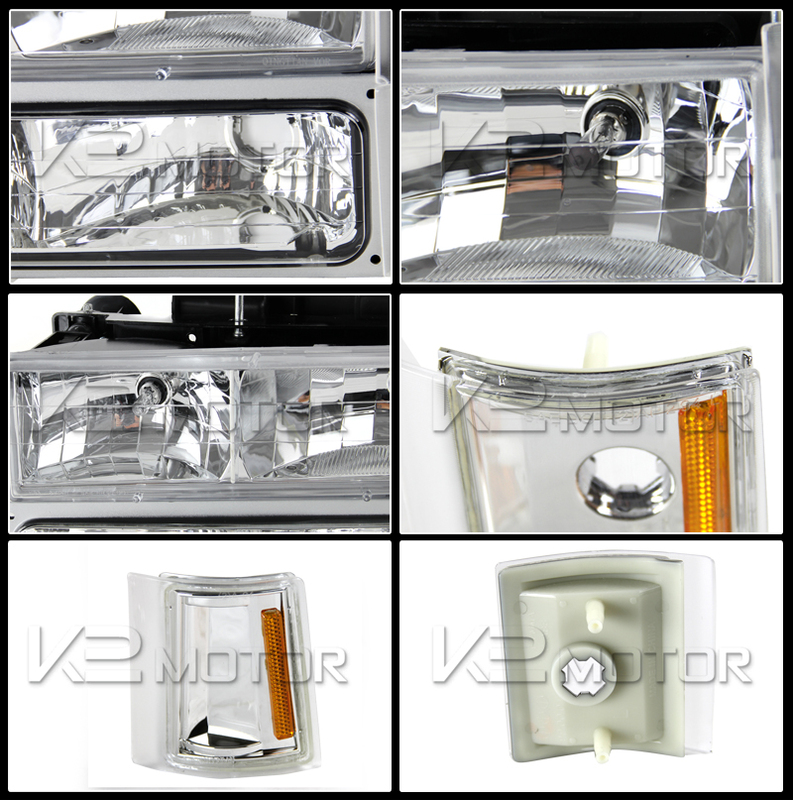 Make your pick from K2 Motor's wide selection of top quality COMBO: 1994-1998 GMC C10/Sierra/Suburban/Yukon Chrome Crystal Headlights + Corner Lights + Bumper Lights offered to you at the BEST DEALS! 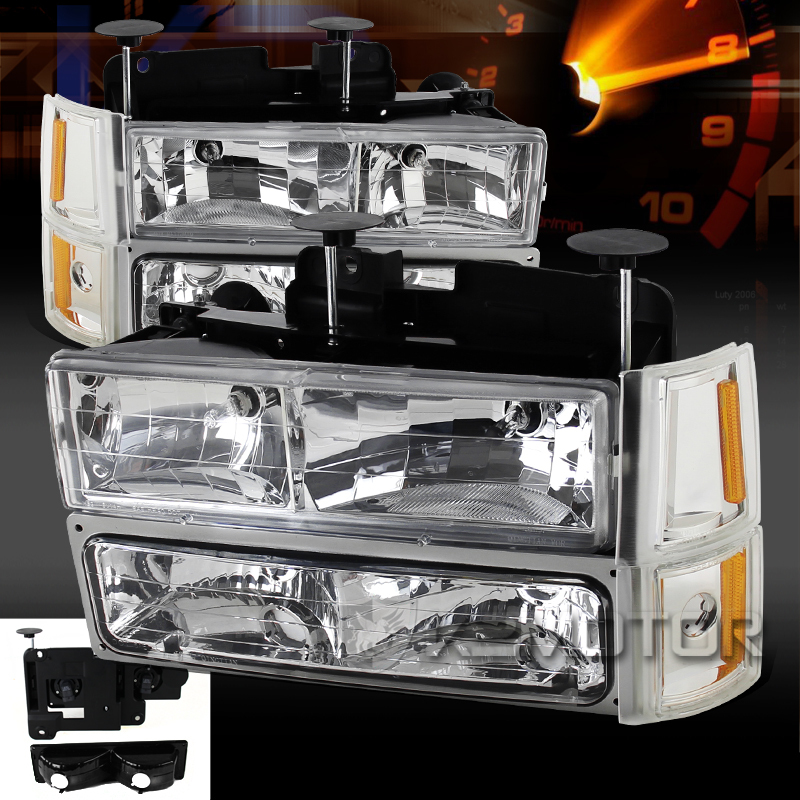 Brand New COMBO: 1994-1998 GMC C10/Sierra/Suburban/Yukon Chrome Crystal Headlights + Corner Lights + Bumper Lights. If you're looking to replace your OEM headlights that are fogged up or damaged, but don't want anything that stands out to much, then these headlights are perfect for you. 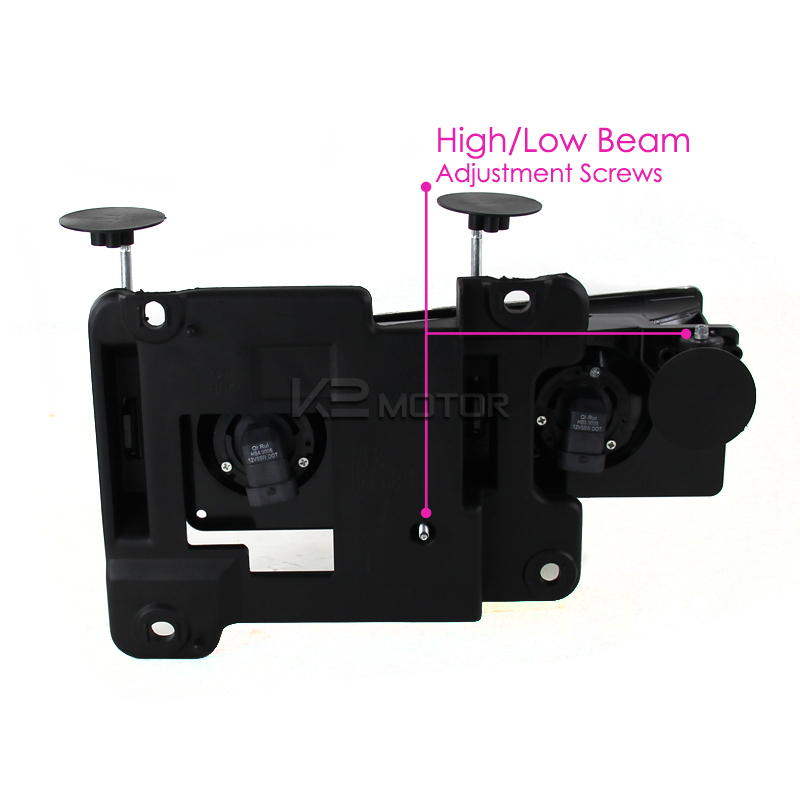 These stunning new headlights for your car are durable and still put out the same amount of light as the OEM headlights if not more. 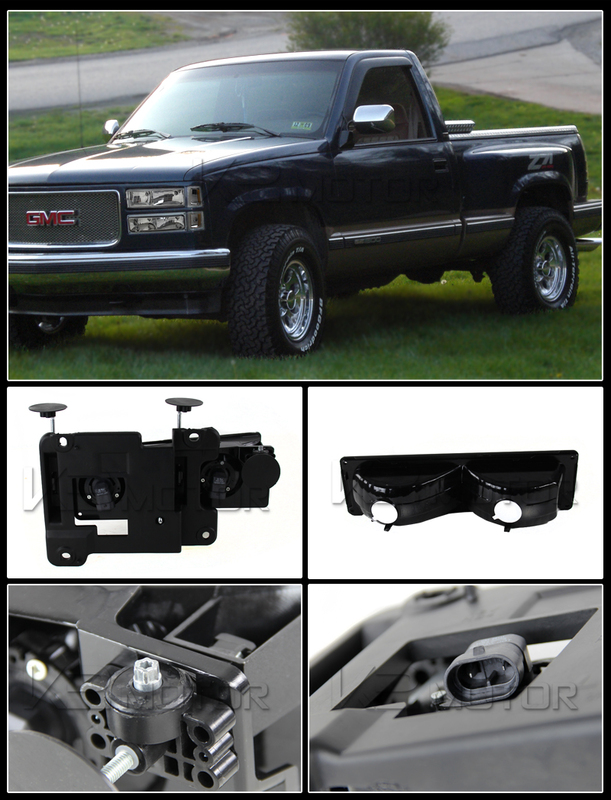 A subtle look combined with specifically engineered and angled reflective surfaces make for some very nice lookers on your car.